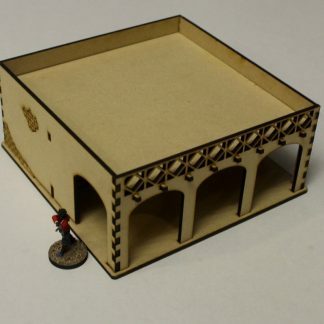 Middle east themed buildings, usable for multiple different games. 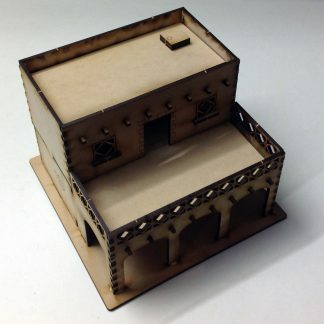 Can be used for everything from modern middle east combat, WWII, Ancient, even sci-fi on a desert world. 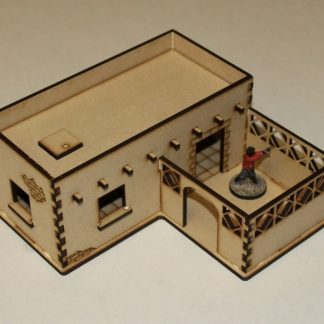 They are also fairly close to a Spanish or Mexican look as well and can be used for western or spanish themed games. 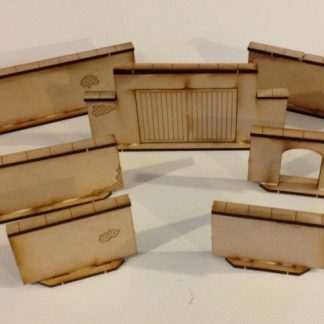 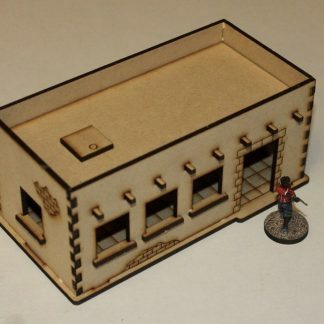 For some great ideas on how to spice up some of these buildings, check out Ivan’s great post over on the Lead Adventure Forums. 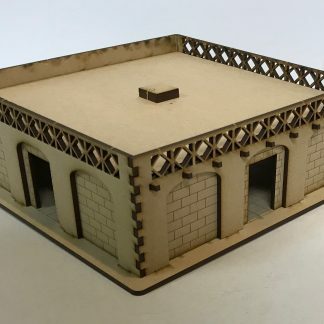 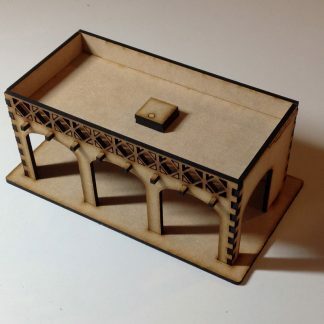 He walks you through how he created an amazing Middle East table using a number of our buildings, found here: Spectre Table Update. 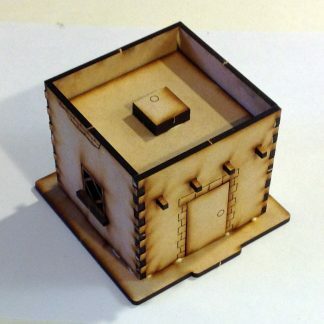 – Each item is sold as a kit of 1/8″ (3.2mm) MDF parts, and requires assembly and paint. 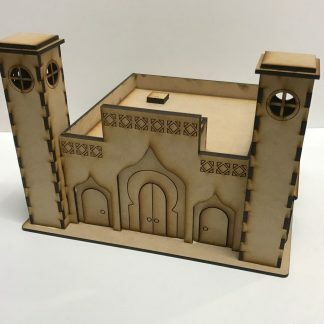 – Buildings are not textured, they can be textured using Liquitex (or other paint medium brands), drywall patching compound, or even glue and sand. 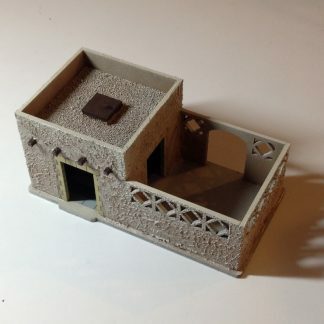 – Windows and doors can be left in or removed on all buildings, as desired. 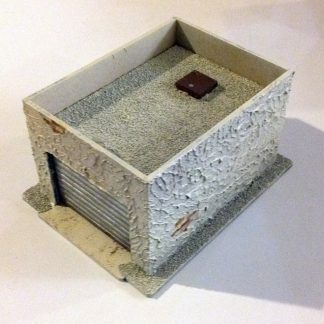 All roof sections are removable for easy access. 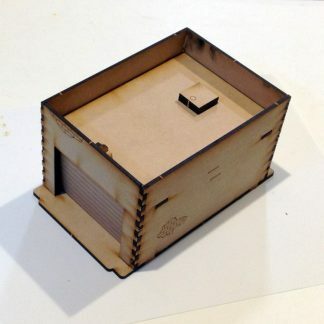 – Any figures shown are for scale only and not included. 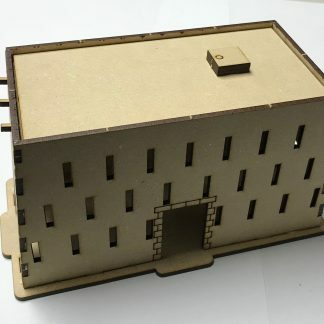 – Some images include additional buildings or small extra detail parts (AC units, brick walls, power panels, etc), they are shown only to demonstrate how these buildings can work with other parts of our line and are not included, each building is sold separately.